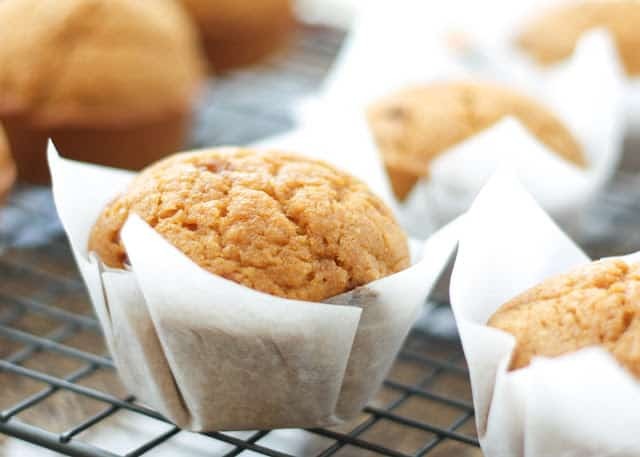 Did you know you can make your own muffin and cupcake liners? With fall’s baking season rapidly approaching, you’ll want to save this tip for the next time you are making muffins! A few years ago, I ran out of paper liners as I was making pumpkin muffins and I decided to try a trick I saw a while back. 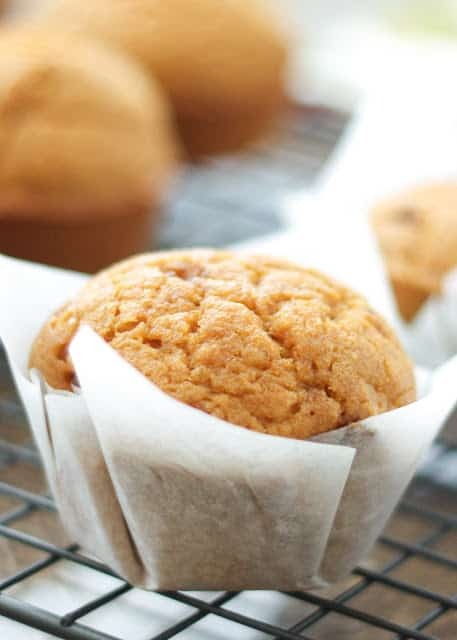 These are simply squares of parchment paper pressed into the muffin cups. Yes, it’s every bit as simple as it sounds. Because I’m not the most patient (or remotely perfectionist) sort, I don’t cut each square out individually. I simply tear off a good size section of parchment and fold it over a few times until I have a roughly 5-inch square. Next, I cut all the way around the square and I’m left with a stack of square pieces of parchment. Press each square down into the muffin cups, creasing or folding the edges slightly along the insides of the cup, so that the parchment folds into a cup shape. Don’t try to make it perfect, it’s just a wrapper to throw away. Drop a scoop of batter into each improvised cup and bake as directed. My favorite part? The muffins slide right out of the parchment once they were baked. There is no sticky crumbling cupcake liner to mess with later. It takes less than five minutes to make a dozen liners and I love the way they look! I'll never buy cupcake liners again. I love this idea! No messy crumbs or sticky nasty cupcake liners? I'm with Johanna. I'm going to use this method instead of traditional liners in the future. I've got to say that I think they look classier, too! Wow! What a terrific tip! 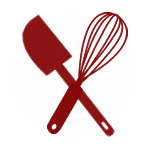 I am looking for a gluten-free dessert recipe to take to a potluck so was browsing your site and trying not to drool on my keyboard. :o) Finding this tip was a bonus .. great idea and I love the look! Thank you.